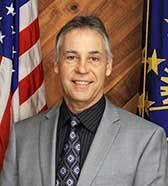 The Bartholomew County Board of Commissioners, also referred to as the County Executive, is a three (3) member board, whose members are elected to four (4) year terms. Representatives for each district are elected on different ballot years. Their specific powers and duties are defined in IC 36-2-2. Although the law IC 36-2-2-6 requires the board of county commissioners to meet only once each month, the Bartholomew County Commissioners hold regularly scheduled weekly meetings. With the exception of holiday closings, the commissioners meet each Monday at 10:00AM in their public chambers located off of the Third Street entrance in the Governmental Office Building at 440 Third Street. When only two members of the board attend the meeting and there is no consensus, the board must defer final actions until all of the members are in attendance IC 36-2-4-6. 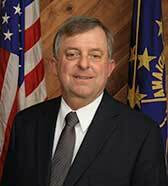 The Indiana Open Door and Public Access to Records statutes apply to county commissioners' meetings. 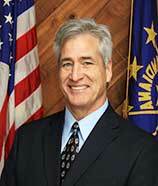 The board of commissioners may call a special session whenever public interest requires it. At least six days notice must be given for a special meeting unless there exists an emergency that requires shorter notice. IC 36-2-2-8 The commissioners may carry out business only on those matters for which the special meeting was called. Citizens wishing to place an item on the Commissioners' Agenda should plan to submit the information to the County Administrator one week prior to the Agenda Session date. Agenda items must be turned into the Commissioners' office by 12 noon on Wednesday in order to be placed on the Monday morning agenda session. Any supporting documents should be submitted at that time. If the documents are not available, the item will be placed on the following agenda session. Any exceptions will be at the discretion of the Chairman. The purpose of public hearings is to allow the public to provide input/testimony to the Board of County Commissioners on a particular subject. All public hearings will be scheduled and heard in the order in which they are listed on the agenda, unless otherwise arranged. State your name, address, and whether you are representing only yourself or others. All remarks/comments should be addressed to the Board as a body and not to any specific member. Questions should be addressed to the Chairman. Please limit your comments on public comment items to five (5) minutes if you are representing others and three (3) minutes if you are representing yourself. Submit all written comments to the County Administrator. District 1 -Includes the townships of Flatrock, German, Harrison, Hawcreek, and the 3400 Precinct of Columbus*. District 2 - Includes all the Precincts in Columbus Township except for the Precinct 3400*. 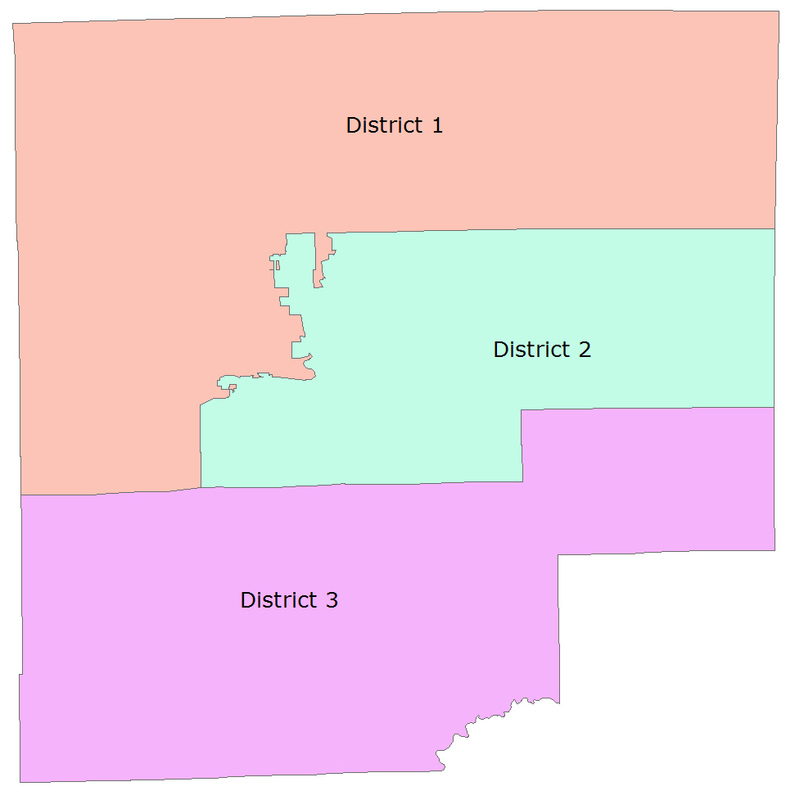 District 3 - Includes the townships of Jackson, Ohio, Rockcreek, Sandcreek, and Wayne. *The boundries of all precincts, including the 3400 precinct, can be seen in either the listed "Commissioners' District Map" below or the county District Map listed in "All County Maps", below.